Does NAPCA only serve Asian Americans and Pacific Islanders? No. Although these ethnicities are our primary focus, NAPCA is dedicated to serving people of all ethnicities as they age. We are a member of multiple coalitions and organizations that advocate for all diverse elders. Additionally, our Senior Community Service Employment Program award contains allocations for both the general aging population as well as a dedicated set-aside for AAPI. Who is included in the AAPI community? AAPI, as defined by the Census, is a person with origins in any of the peoples of the Far East, Southeast Asia, Indian Subcontinent or Pacific Islands. AAPIs represent over 50 subpopulations that speak over 100 different languages, unique cultural traditions, diverse immigration histories, and vast differences in health status and disparities. AAPIs are the fastest growing minority group in America. Between 2010 and 2030, the AAPI older adult population is projected to increase by 145%, according to the U.S. Census. As there is such diversity within the AAPI ethnic categorization, how do I prioritize the needs of the specific AAPI populations in my community? With such diversity contained within one ethnic category, it can be challenging for organizations to determine how to account for the range of AAPI ethnicities within their community. In addition to including AAPI older adults and their caregivers within needs assessments, organizations should also develop disaggregated data collection and reporting policies to inform planning, evaluation and resource allocations. Asian Americans: Asian Indian, Bangladeshi, Bhutanese, Burmese, Cambodian, Chinese, Taiwanese, Filipino, Hmong, Indonesian, Iwo Jiman, Japanese, Korean, Laotian, Malaysian, Maldivian, Mongolian, Nepalese, Okinawan, Pakistani, Singaporean, Sri Lankan, Thai, Vietnamese, Other Asian, not specified. Native Hawaiian and Pacific Islanders: Native Hawaiian, Samoan, Tahitian, Tongan, Tokelauan, Other Polynesian, Guamanian or Chamorro, Mariana Islander, Saipanese, Palauan, Carolinian, Kosraean, Pohnpeian, Chuukese, Yapese, Marshallese, I-Kiribati, Other Micronesian, Fijian, Papua New Guinean, Solomon Islander, Ni-Vanuatu, Other Melanesian, Other Pacific Islander. What are the barriers AAPI older adults face in my community? In 2016, NAPCA spoke with older adults in cities with some of the largest populations of AAPIs around the nation (Boston, Massachusetts; Chicago, Illinois; Honolulu, Hawaii; Los Angeles, California; New York, New York; Seattle, Washington). Our intention was to collect data that could be used to strengthen long-term service and support systems within these communities, while also learning how to strengthen these systems nationwide. To identify the barriers that AAPI older adults face in your community, organizations must always include AAPI older adults within needs assessments. We recommend adopting a culturally and linguistically appropriate approach to assessing the needs of AAPI older adults so that your organization can take action, set priorities, allocate resources, and ensure equitable access. For more information, visit: Seven Best Practices When Conducting A Community Needs Assessment with Asian American and Pacific Islander Older Adults. Throughout these listening sessions, NAPCA consistently heard AAPI older adults speak about major issues they are facing related to economic security and access to services (largely, language-access concerns). Overwhelmingly, AAPI older adults in each of the cities reported challenges in accessing affordable housing, confusion with public benefits, costly healthcare, poor transportation options, and limited culturally and linguistically appropriate education opportunities. For a list of key issues specific to these regions, please see Appendix A in The Emerging Needs of AAPI Older Adults. What barriers do AAPI elders face that are unique to their aging community? AAPI elders face all of the same problems that we all face as we age, however there are cultural and language factors that can exacerbate the sense of isolation and inhibit access to services, employment, and care. What are best practices for outreach and engagement to AAPI older adults and their families? With such high rates of limited English proficiency among AAPI older adults, effective engagement must include in-language outreach. As a best practice, NAPCA recommends that organizations develop a language access plan. NAPCA has two resources that may be valuable: (1) Identifying AAPI Languages, and (2) Four Strategies to Identify an Interpreter for an AAPI Older Adult. Another best practice is to partner with AAPI-serving community-based organizations for outreach and engagement to AAPI older adults. These partnerships help to cultivate an awareness of assets within the AAPI community and to gain trust. Build relationships with the community in addition to delivering needed services. My organization serves AAPIs in our community; how can we help improve systems that support the older adults we serve? If your organization serves AAPI older adults, you have a pivotal role in strengthening long-term service and support systems. NAPCA is building a national affiliate network of AAPI-serving community based organizations. We invite you to partner with NAPCA by joining our affiliate network; together, we can become active agents of change through advocacy, improved data collection, and technical assistance that increases visibility of the AAPI older adults we represent. What is data disaggregation and why is it important? Data disaggregation is the breaking down of data into smaller subpopulations. Disaggregated AAPI data shows that some Asian subpopulations face greater challenges in certain areas than others do. Through disaggregation, we can better identify which specific communities will benefit from health, employment, and other elder support interventions. I would like to share a post on NAPCA’s social media Facebook and Twitter accounts. Who can I contact as the administrator? Please contact NAPCA’s social media administrator at admin@napca.org and someone will respond within 24 hours. 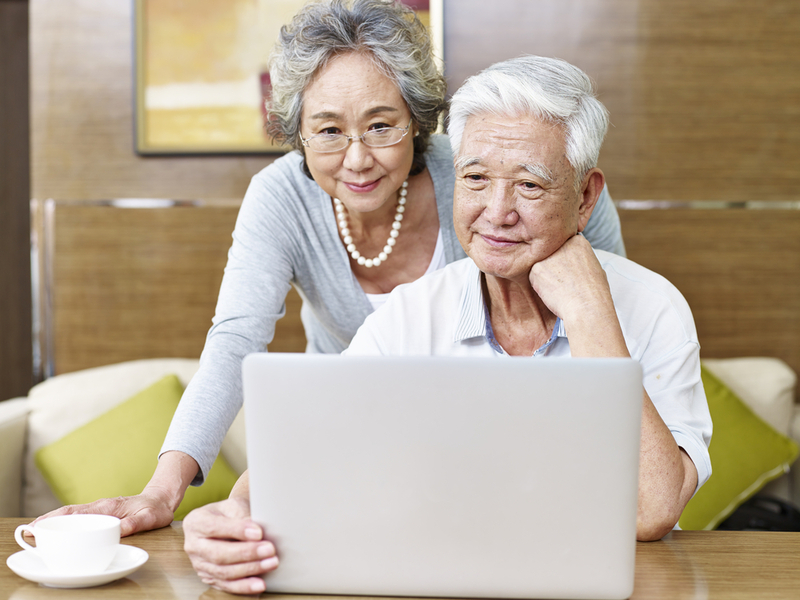 How does my donation help AAPI older adults? Your donation raises the visibility of AAPI older adults who are disenfranchised due to cultural and linguistic barriers, and ensures justice and equality for all older Americans. How do I find an AAPI-serving community-based organization in my community? Please contact our National Resource Center on AAPI Aging at admin@napca.org. They will work with you to identify and facilitate connections, when appropriate, to AAPI-serving organizations in your community. How do I learn more about receiving employment training? Call our SCSEP office at 206-624-1221. Where can I find employment tips and resources for mature workers? Please visit our resource page for tips on job search and preparation. You can also visit the Career One Stop website for more resources. I am interested in participating in SCSEP but I do not live in a county that NAPCA SCSEP is currently operating. Who can I contact to enroll into the program? Please visit Career One Stop and input your zipcode to find an organization in your area. How do I learn more about enrolling in Medicare Part D and other federal benefits? Please call our National Multilingual Helpline. The National Resource Center for AAPI Aging is the nation’s first and only technical assistance resource center dedicated to building the capacity of long-term service and support systems to equitably serve AAPI older adults and their caregivers. Didn’t see an answer to your question? Currently a participant in NAPCA’s SCSEP, SEE, or ACES program and need assistance? Please call us at 206-624-1221 and we’ll respond within two business days.